Have you ever felt mistreated by a border agent? Speak out and tell your story. Help prevent further abuse and cross with dignity. Our border is home to tremendous cultural and economic exchange where we as workers, families, students, tourists and shoppers should be treated with dignity and respect for our rights. For many of us, crossing at our nation’s ports of entry is coming home, and we deserve our proper welcome. Too often, however, CBP officers mistreat people and act as if we don’t have rights. Thousands cross our ports daily, many who aren’t aware of their rights or don’t believe they have any. When citizens and noncitizens alike feel discriminated against, humiliated, treated with suspicion, or are physically and verbally abused by poorly trained and unprofessional CBP officers, their first impression is completely contrary to our values of fairness, equality and justice. Mistreatment is not the welcome home treatment we deserve. 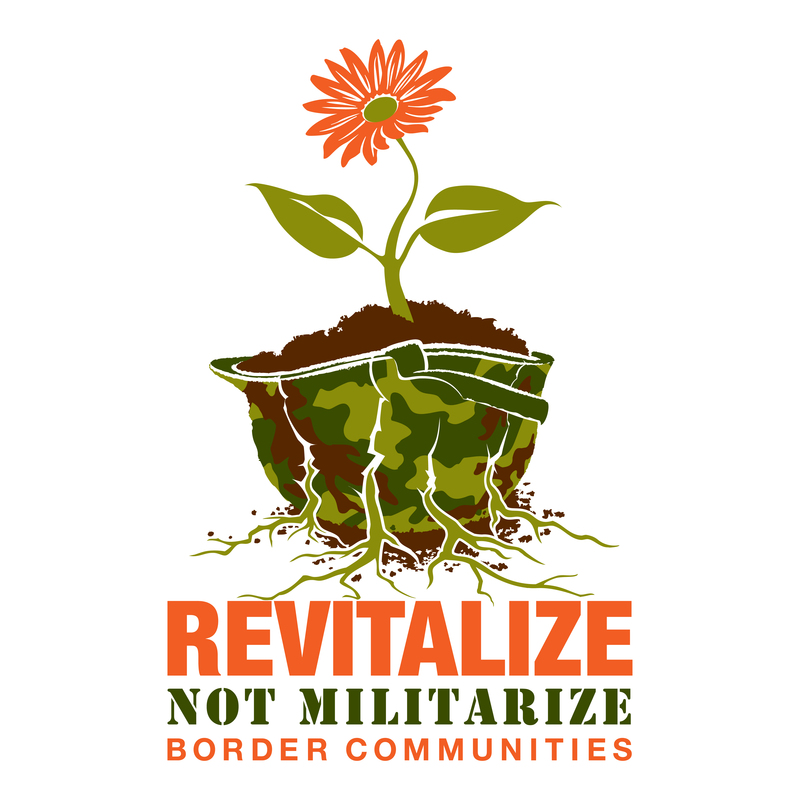 With your help, we can change the current border reality and demand that everyone be treated with dignity and respect. Together, telling our stories will support much needed reforms to bring long overdue accountability to CBP. 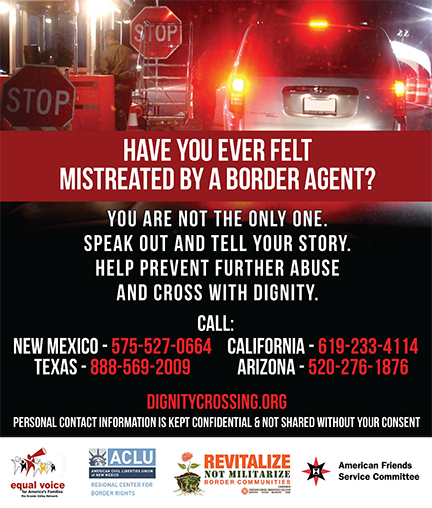 If you, your family or friends have felt mistreated or experienced abuse at the hands of CBP, contact our local organizations to report your abuse either anonymously or non-anonymously. We need to speak out and tell our story border-wide. When you speak up for yourself, you also speak for many more and will help prevent further human rights violations in our community. Border Reality Checkpoints deploy across the southern border region. Wednesday, April 8, 9 a.m. – 1 p.m.
Friday, April 17, 3-5 p.m.